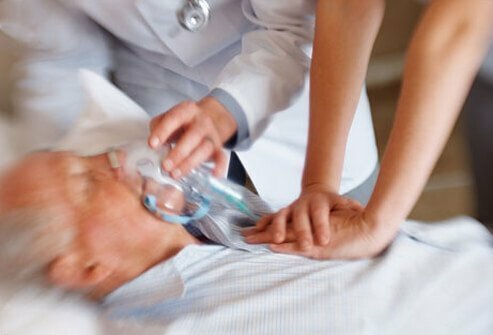 2 What happens during a heart attack? 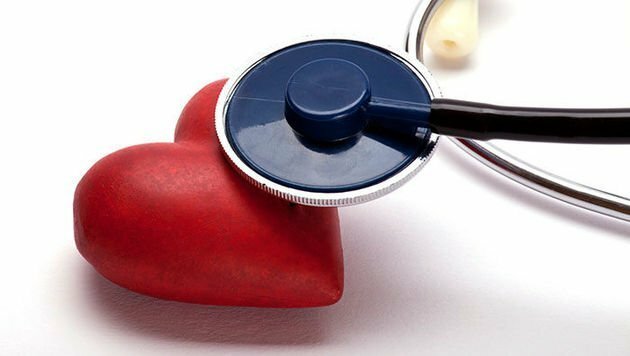 According to the World Health Organization (WHO), around 17.5 million people die each year from cardiovascular diseases, which represents an estimate of 31% of the total number of deaths worldwide . 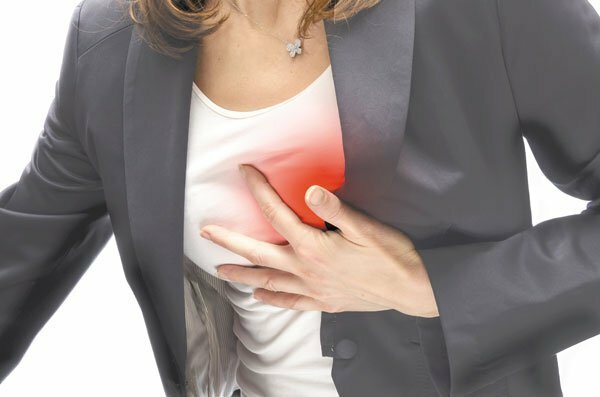 The most common and well known cardiac injury is the myocardial infarction, also called coronary heart disease and generally known as the heart attack.It is very likely that you have a relative that suffered a heart attack. But it is very important to highlight that being common doesn't mean that it is not serious. In fact, the heart attack is a very serious medical emergency and demands some real attention. 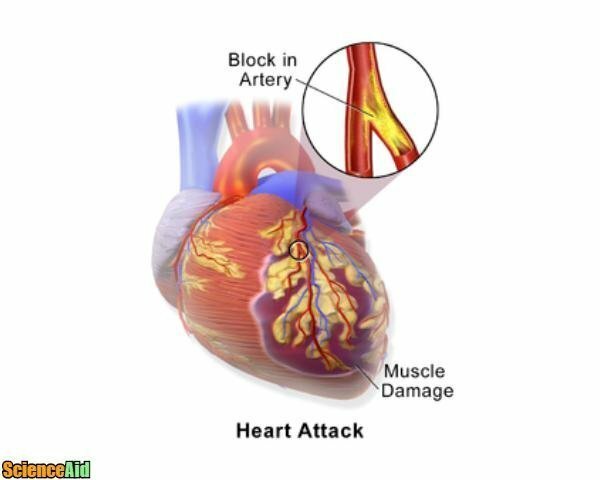 The main cause for a heart attack is usually a blockage in the arteries responsible for transporting blood to the heart. Blood is responsible for transporting oxygen and nutrients to all the tissues in our body, and without it, cells start to die resulting in muscle death. 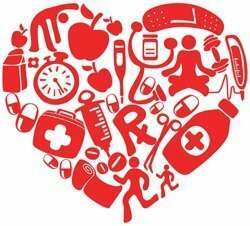 Our heart is a very important organ, and any injury can affect its beating activity and consequently the whole blood flow through the body (risking the blood supply to other organs). The symptoms of a heart attack can include: • Shortness of breath. • Pain or discomfort in the center of the chest. • Pain or discomfort in the arms (mostly left arm), back, jaw, elbows and left shoulder. The symptoms above are the main ones, however other symptoms can include nausea and vomiting, becoming pale and feeling lightheaded.The symptoms of back or jaw pain, nausea, and shortness of breath are more common in women. A heart attack is not a disease, but a manifestation of an underlying disease and they are usually considered a warning. There are a few situations and conditions that can result in a heart attack. The most important cause of a heart attack is the fat deposits in the arteries, a condition known as atherosclerosis. When someone has a diet that is rich in cholesterol and fat, it starts to slowly create deposits of cholesterol, fat and other substances on the arteries walls. These "plaques" will narrow the arteries, reducing the space for the blood to flow. When these plaques break, a blood clot is formed around it, and it can block the blood flow. When it happens on a heart artery, the heart muscle will be deprived of oxygen and other nutrients, in a condition called ischemia. The muscle damage or death that is a result of ischemia is called "heart attack". The atherosclerosis process has no symptoms, so the person might only realize the problem when the heart attack happens (or other consequences of this condition). These lifestyle choices result in an increase in blood pressure; increased in the amount of glucose and lipids in the blood and obesity. Other risk factors are stress and hereditary factors. Given that some of the risk factors that can result in a heart attack are behavioral, lifestyle changes can greatly reduce the risk of developing a heart attack. Reducing the amount of fat in the diet and increasing the amount of physical activity are very important ways of prevention. MLA (Modern Language Association) "Heart Attack Symptoms And Warning Signs." ScienceAid, scienceaid.net/Heart_Attack_Symptoms_And_Warning_Signs Accessed 20 Apr 2019. Chicago / Turabian ScienceAid.net. "Heart Attack Symptoms And Warning Signs." Accessed Apr 20, 2019. https://scienceaid.net/Heart_Attack_Symptoms_And_Warning_Signs.